Grand Theft preliminary hearing, 1951. 2 mages. 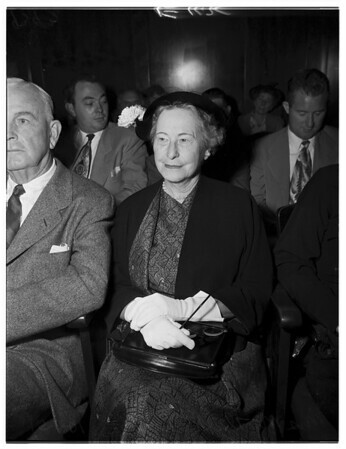 Grand Theft preliminary hearing, 01 October 1951. Mrs. Myrtle W. Burke (grand theft victim).